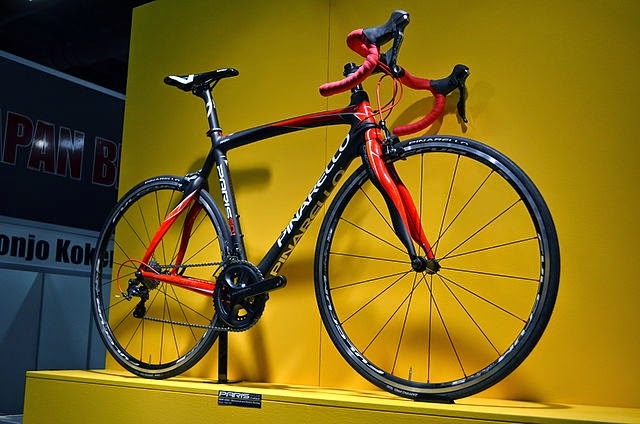 Every cyclist wants a new bike. There is even a Velominati rule 12 about that. The problem with wanting a new bike is that prices of that bike are huge. We are all aware that the decision to buy a bike is 80% emotional. It's OK to be emotional about it. Before you go and drop the 2000$ plus on your new baby, have a sincere discussion with yourself on the reasons for buying it. It's 1.5 kilograms lighter and laterally stiffer - Bike weight and stiffness is very important for top performance. But the world elite cyclists do not sport a notable gut while riding a 6.8 kilogram bike. Think about losing 3 kilograms off your waistline. You'll save the money for the new bike, and some extra money on groceries. The ride is extra smooth, confirmed by <INSERT MAGAZINE/SITE> - Even entry level bike frames deliver a smooth ride. And extra smooth ride is important at high speed on poor asphalt, cobbles at high speed and on very long rides. How often do you actually ride 100 kilometers and ride over poor asphalt at over 30kilometers per hour? If the answer is once every couple of months, buy extra padding on your shorts and gel handlebar tape. Total cost of 100$ for the same level of comfort. The new Dura-Ace shifts so much faster than my current transmission - High-end transmissions are super smooth, very light and very trustworthy in shifts, because racers can't afford to lose milliseconds on shifting. And they cost accordingly. Now think back when was the last time you lost a race due to the extra second of shifting on your Tiagra/Veloce. Never? Exactly! "A <INSERT FAVORITE MODEL NAME> is the Ferrari of bicycles" - That statement is probably completely correct. And like a Ferrari, that bike needs a great engine to move as fast as it can. Have your legs been upgraded to a V12 power, or are they still at a power of a straight-four sitting on that shiny Dogma? "<INSERT FAVORITE TEAM> rode those on Paris-Roubaix" - indeed they did. And they probably won. Now get on Google Maps and measure how far your home is from the French-Belgian border and their cobblestone roads. While you read the map, remind yourself that cycling teams do not own the bikes - they just borrow them from their partner manufacturer for the season. Are you going to spend a good chunk of money for a route you'll probably ride once in your life? If you can spend the money, go ahead and buy a nicer bike. Before that, be sincere to yourself why you buy it. What are your reasons to buy a new bike? Tell us in the comments! You mentioned several points with good perspective, we are completely agreed with the sense of the topic you discussed here.